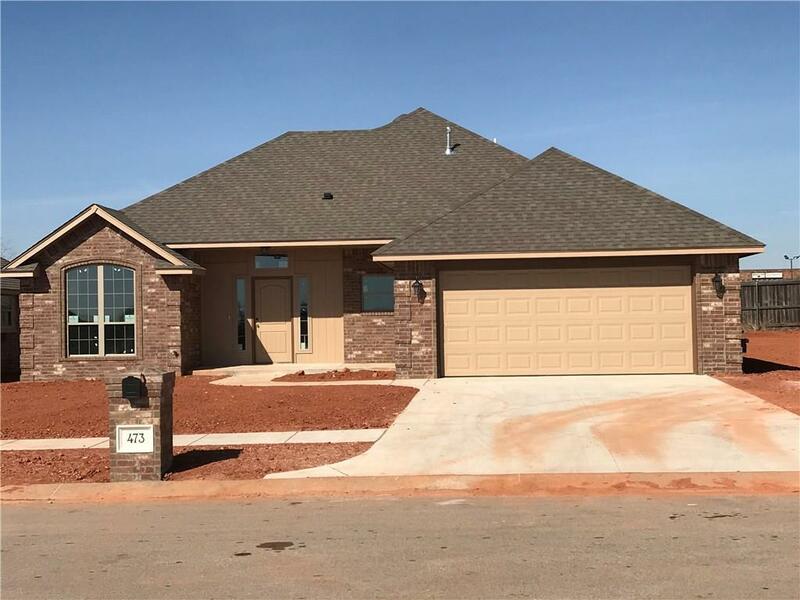 Quality built home with 10 year warranty. Great floor plan, large living area with fireplace and ceiling fan. Nice, Nice kitchen with breakfast bar, eating area, walkin pantry, microwave, disposal, gas cook stove, dishwasher. Master suite has shower, soaking tub, dbl vanity and nice walkin shower. Other bedrooms are nice size and nice closets. Backyard has cover patio and yard will have sod. Great time to buy; you can help pick the colors and flooring.